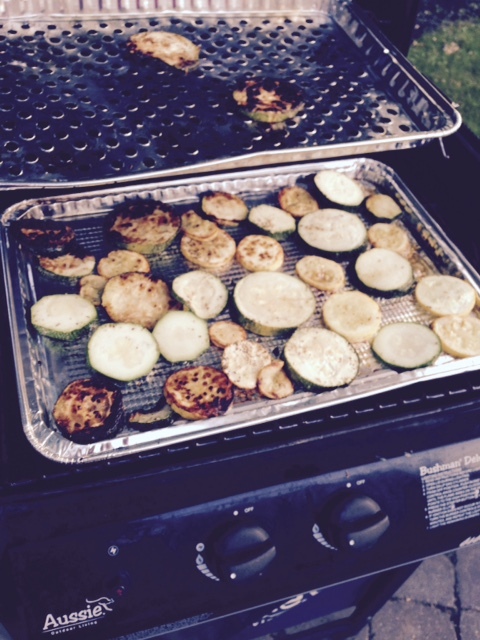 Grilled zucchini was the side dish for our meal. I cut the zucchini into small circles and covered them with olive oil and Italian spices. 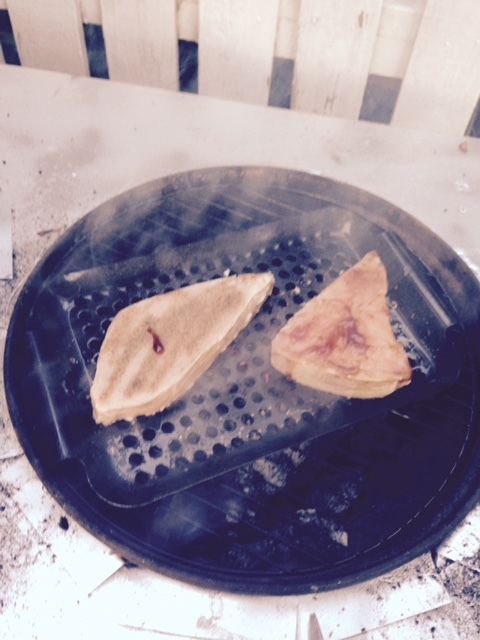 I sprayed the grilling pans with olive oil as well to prevent sticking. Those went on my gas grill where I find it easier to regulate the heat levels to get a nice even cook.